At a summit held recently in Cardiff Bay, leading Welsh food retailers, caterers, suppliers and statutory bodies made pledges to increase our vegetable consumption. This was the latest achievement of Peas Please, a pioneering initiative that targets the whole food system to improve our diet and our health. 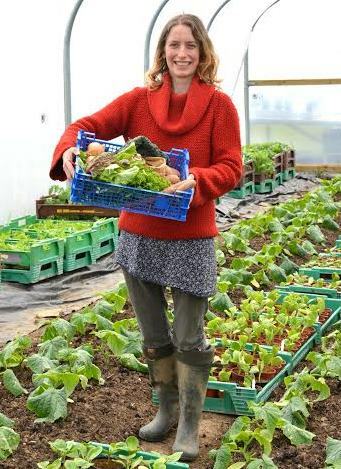 It works across the UK and its Welsh arm is led by Food Cardiff in collaboration with Amber Wheeler, whose doctoral research focuses on boosting horticulture and vegetable consumption in Wales. Companies that made Veg Pledges at the Summit included Castell Howell, S.A. Brains and Co, Puffin Produce, Lantra, Riverside Real Food, the Federation of City Farms and Community Gardens and Penylan Pantry, the Soil Association, WRAP Cymru and Charlton House, caterers to the National Assembly for Wales. They each explained how they plan to change how they produce, manufacture, supply and serve their meals to include more vegetables, thus making an important contribution to public health. Influential pledges were also made by Cardiff City Council, Cardiff and Vale University Health Board, Cardiff University and Cardiff Metropolitan University. During Plenary that day, the First Minister Carwyn Jones AM welcomed the Veg Summit and what Peas Please is aiming to achieve to improve the health of the nation. The Summit was sponsored by Jenny Rathbone AM, who leads the Cross Party Group on Food. It was attended over 80 multi-disciplinary representatives from the private, public and third sector, including the Cabinet Secretary for Health, Wellbeing and Sport, Vaughan Gething AM, the Minister for Social Services and Public Health, Rebecca Evans AM, Cllr Huw Thomas, Leader of Cardiff Council and Dr Sharon Hopkins, Director of Public Health with Cardiff and Vale University Health Board. A simultaneous event organised by The Food Foundation in London saw pledges from Lidl, Co-op, Sainsbury’s, Tesco, Greggs, Mars Food, Nestle, Sodexo, Baxter Storey Interserve and Simply Fresh. These pledges will amount to millions more portions of vegetables being added to meals in the UK with potential to give a welcome spur to British horticulture at a time when the sector faces considerable uncertainty. Meanwhile, in Scotland, the Scottish Government have pledged a new Fruit, Veg & Potato Industry Leadership Group which will develop an action plan for Scottish horticulture. For details of each pledge made from across the whole of the UK, read this Storify and the full pledge list. All pledges will be measured and monitored by Food Cardiff in partnership with the Food Foundation, Kantar Worldpanel, PwC and Cambridge University annually until 2020. In considering how to best influence consumption patterns of unhealthy food products in Wales, motivated by the need to reduce the health costs and impacts which are now understood to result from an overconsumption of those products (sugar is now viewed by many health professionals as the biggest avoidable public health risk, and the ‘new nicotine’), useful lessons can be learned from the way in which cigarette purchases have been reduced by state sponsored initiatives. High levels of taxation combined with public education campaigns and banning of advertising, labelling and packaging has succeeded in seriously reducing levels of tobacco consumption. More recently, the invention and rapid rise in the popularity of artificial cigarettes has also helped many people to kick what is essentially an addiction. There are a range of “enabling health” approaches to changing food consumption behaviour which may be considered, such as: subsidising the cost of healthy food to make it more affordable to people on low incomes; launching a healthy eating promotional campaign; providing and promoting “healthy options” in state run locations such as schools and health centres; making healthy food easily available to all sectors of the community, particularly to those on lower incomes, with measures such as “healthy corner shops” (encouraging corner shops to stock a range of fresh produce) to ensure that even in relative “food deserts” some healthy food is available; providing cooking classes and nutritional information at a community level. But without making healthy food more affordable, any attempt to promote its consumption amongst poorer sections of the community is likely to fail. More directly ‘Interventionist’ measures can include: adding a “sugar tax, or “fat tax” to products with unhealthily high levels of those ingredients, such as fizzy soft drinks (which are the main source of processed sugar for young people) or high-fat food items; nutrient fortification in low-cost food; banning processed food in government-controlled environments such as schools, and health centres; putting discouraging labelling on processed food and controlling the kind of packaging that can be used; banning or limiting advertising of unhealthy food, especially to children. One or more of these measures are currently being considered, or are being trialled in several countries in spite of concerted opposition from the financially powerful manufacturers of the products most affected. However there is deep disagreement about the effectiveness of such measures. (1); (2). A major difficulty, in addition to any costs involved, in implementing any steps in relation to reducing consumption of ‘empty calorie’ food, is that it is not as easily connected in the public’s mind as tobacco with negative heath implications, in site of the declarations of health experts. The huge lobbying power of the manufacturers, many of which, such as Coca-Cola, number amongst the largest businesses in the world, also means that these companies can exert huge financial pressure in attempting (and in many cases succeeding) to influence the shaping of food policy, by offering direct funding to government, and also by supporting a range of e.g. sports activities which are welcomed by local communities, and by funding organisations and individuals that are willing to oppose such a move, as well as sponsoring expensive campaigns to discredit any attempts to limit their immensely profitable sales. (It is only the amoral attitude of such corporations that can explain the absurdity of Coca Cola and MacDonald’s being the primary sponsors of the 2012 London Olympic. Echoing the well established behaviour of oil companies in trying to discredit research on the effects on global warming of burning fossil fuels). Another factor is the limited public appetite for having their food buying behaviour “controlled” or “censored” by government, which in spite of ostensibly good intentions, is felt to be an unwelcome form of meddling in people’s freedom to choose what to buy and consume. I believe that a combination of health promoting and interventionist measures will be most effective in steering people away from ‘junk’ and unhealthy food. Alongside attempts to reduce empty calorie consumption, measures are needed which will promote and increase the availability of, and access to, healthy food options for all parts of the community. This will require a multilevel approach, including actions like exposing young people to healthy food in schools and public places, and supporting the creation of a local food ‘chain’ which will make fresh local food easily and affordably available, Such measures will require investment of public money and a willingness to resist the opposition of multinationals, but as has been seen with tobacco, such moves are possible and can be effective where the political will is there. And unlike smoking reduction, which is restricted to limiting consumption of something harmful, promoting healthy eating and local food production will deliver twin long-term benefits of improving the health of the population, thus reducing the cost of providing the health service, at the same time as delivering a range of environmental benefits, and supporting the development of a local food economy creating investment and employment. All these approaches can and must be taken in Wales by our national government, and, with their support, local governments, and should be included in the development of a ‘Food Manifesto’ for Wales (3) The wide range of positive outcomes they imply should make the investment of public money in creating a localised food system more popular with the general public and thus more politically palatable. The only thing standing in the way of such moves would be a lack of vision and courage on the part of Welsh Government. If our political representatives are not able to fulfil their duty of care by promoting and facilitating healthy eating and taking a stand against the corporations who benefit from the current health-damaging and unsustainable food system, it is up to campaigners and the rest of us to respond appropriately at the ballot box at the forthcoming Welsh Government elections.